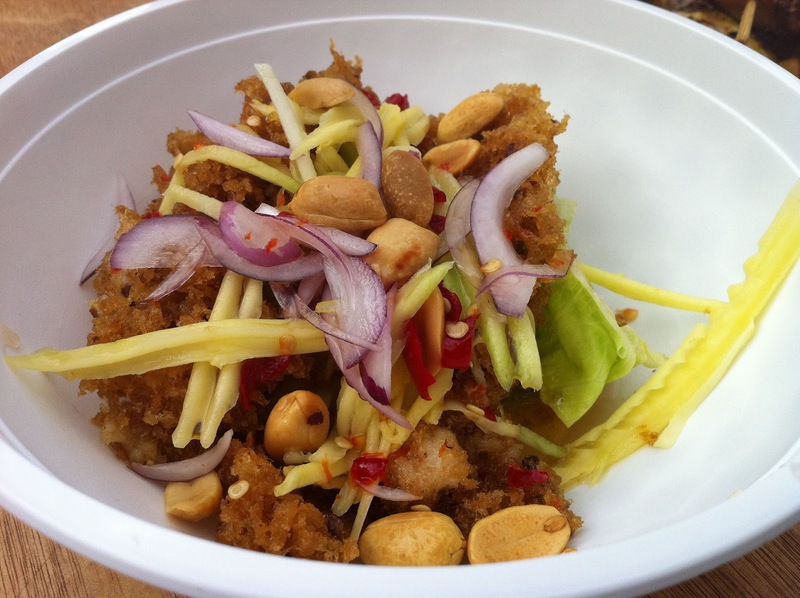 I read about the Thai Festival a few weeks before the event and started salivating almost immediately. 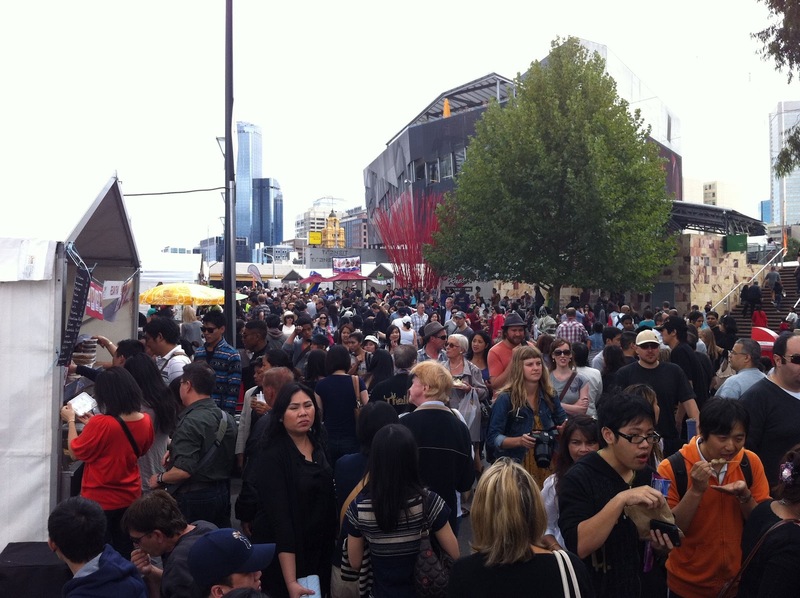 I'd never been to the Thai Festival before but I had a feeling it was going to be an eating extravaganza! I was right! In particular, I expected that the food on offer would be traditional Thai food more like what you get in Thailand and less like the usual 'traffic light curry' Australian Thai restaurants. Right again! On arrival we pretty much headed straight down to the river where all the food stalls were located and quickly found a hoy tod vendor. Some people might baulk at having a mussels at 10:30 am but not us. Lathered with sriracha sauce this was amazing, the mussels were plump and succulently delicious and combined perfectly with the crunchy batter and sprout mixture. 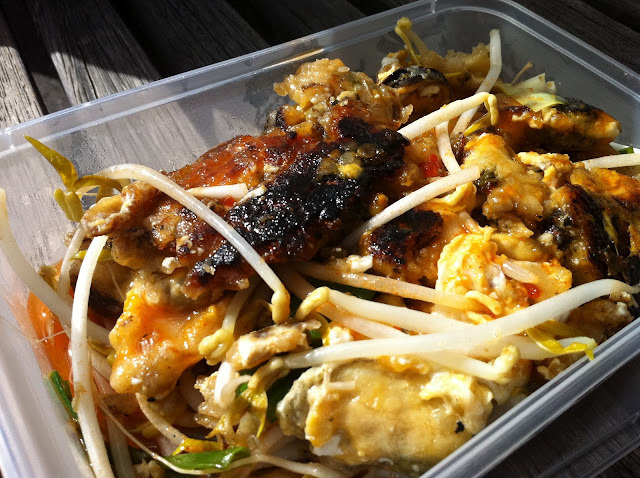 The omelettes are fried up with heaps of oil on a huge flat wok, yes another pice of cooking equipment that I now need. 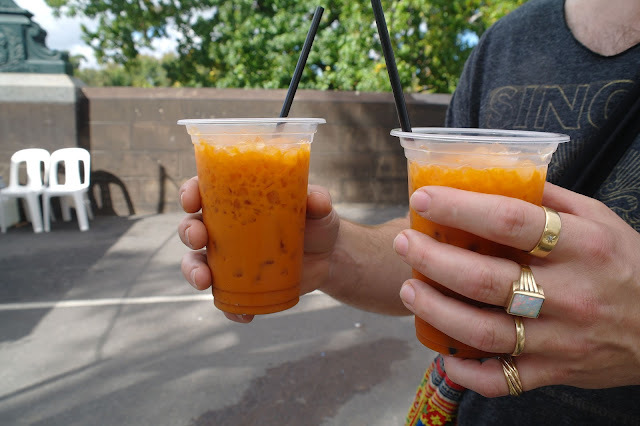 In Thailand I fell in love with cold Thai Milk tea (cha yen). I have made cha yen at home many times but it never seems to taste as good as the cha yen we drank in Thailand. I am never sure whether to add condensed or evaporated milk as the Thai seem to use these interchangeably. This cha yen were fantastic and so refreshing, it was made with evaporated milk which is another enigma to me... Since when did anything not taste better when you added sugar? I will find it hard to not use condensed milk when making my version. I think this a throwback to when Mum used to boil up tins of condensed milk for her wonderful and very 80's caramel tart. 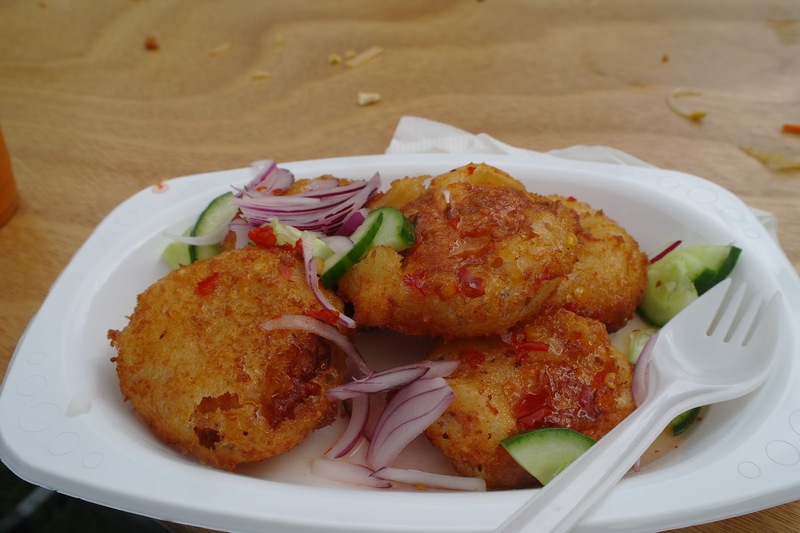 Next up was Thai prawn cakes, I have no idea what these are called in Thai but they have a similar slightly rubbery squeaky consistency to Thai fish cakes (Tod Man Pla) but with a lovely crunchy fried outer coating. Add a simple salad of sliced shallots and cucumber and a sweet chilli dipping sauce and voila, awesomeness! By this stage I was felling full and was also trying to leave some room for a few of the yummy looking desserts we had spied earlier but I was felling pretty good and decided I had enough room for one more savoury dish. I opted for the Grilled Squid stuffed with Pork and Glass Noodles. This was great, I have had grilled squid previously that was quite tough and rubbery but this was lovely and melt in the mouth tender. I'm pretty sure there's a secret to ensuring that the squid stays tender while still cooking through and getting those wonderfully charcoal grill lines. Just another thing to add to my wish list of 'I wonder how they do that?'. 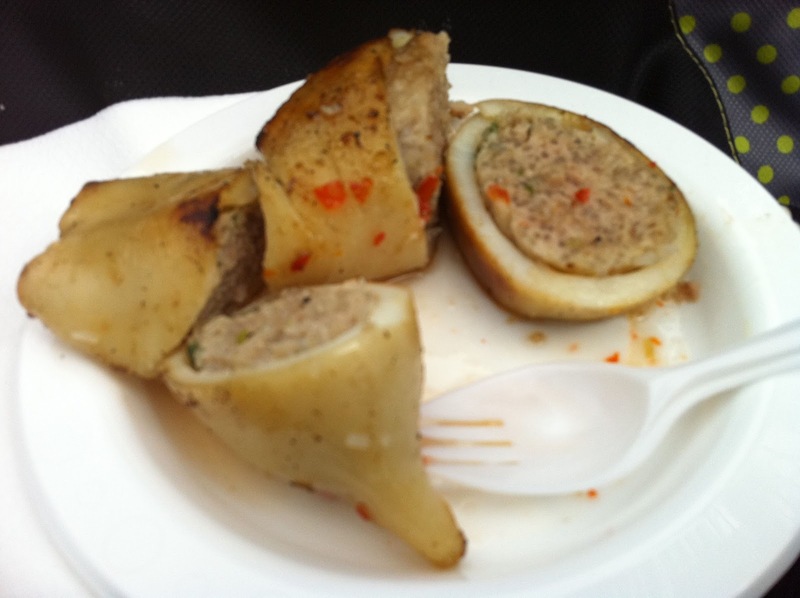 This was from the iSpicy stall and I think they sell it in the Richmond restaurant so I am now planning a trip over that way to do more research. 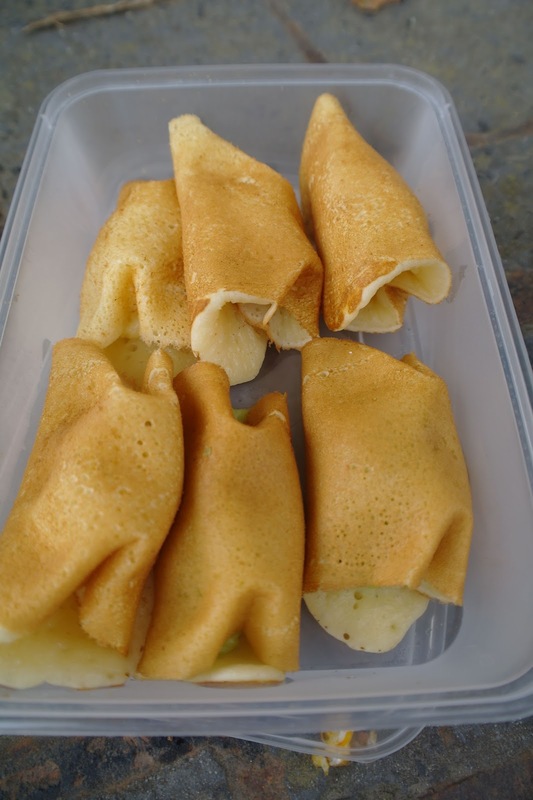 Probably our favourite Thai dessert is Kanom Tokyo, there are so many! We usually buy a container of these about once a week however we can only seem to find ones with the Pandan custard filling, not that's its a problem. We both love our Pandan custard, but at the festival they were also selling them with sliced banana and cream. 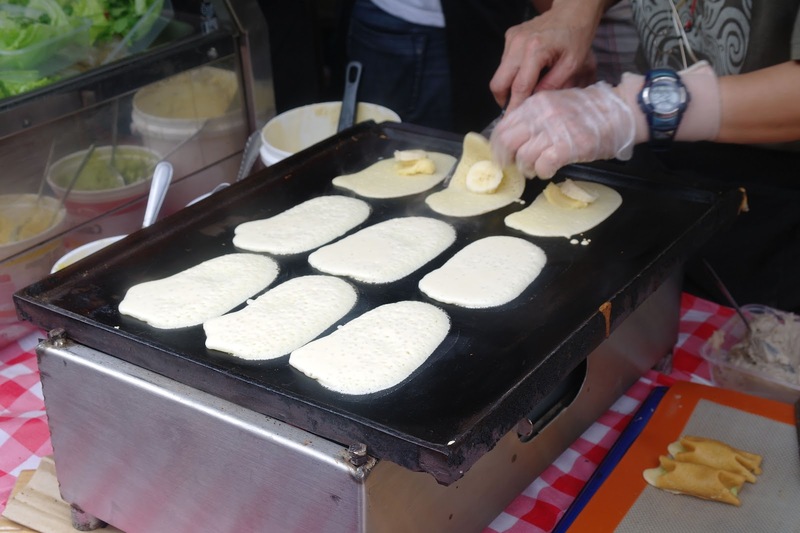 And they were fresh off the hot plate which like most things makes them sooo much better! I could easily have eaten a whole container to myself. 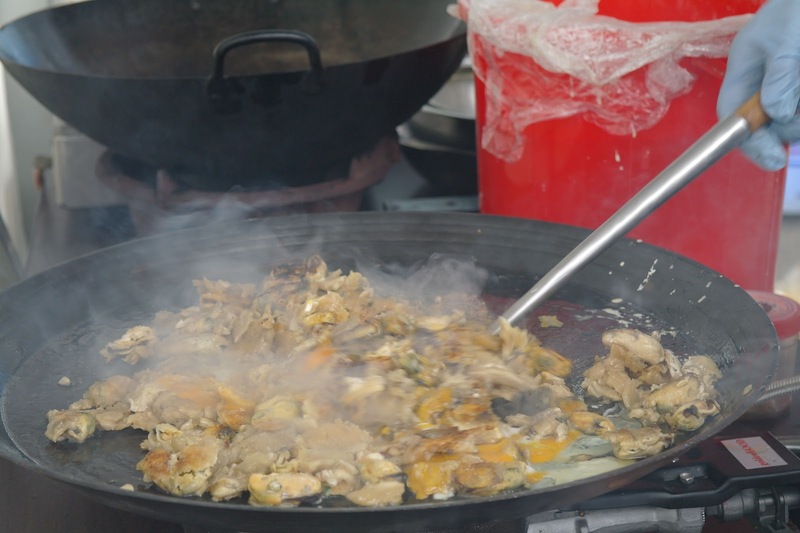 Also added to my wishlist of cooking equipment, one large flat hotplate for cooking of Kanom Tokyo (and Kanom Buang). 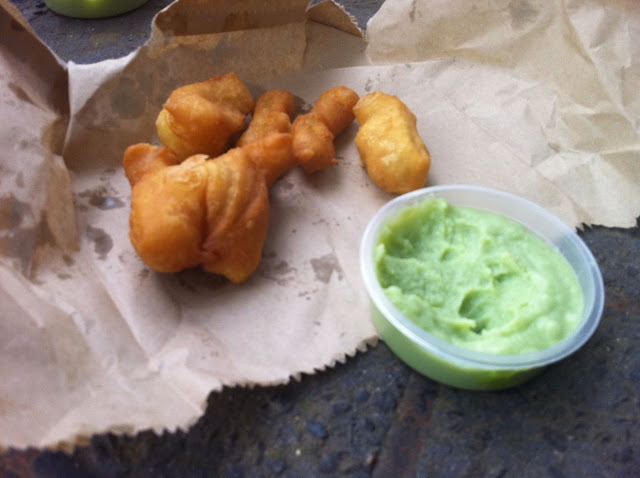 The last delight for the day were some Thai donuts (Patongo), also served with Pandan custard. I've never had these before but have read that they are extremely popular in Thailand. One of my food guides recommends a stall that is renowned in Bangkok, so much so that apparently the King sends his servants there to get them for him! I'm not sure if these were fit for a King but they certainly satisfied a pair of commoners like us. Well Lauren you are probably right on the first point, I did spend a bit more than I would have liked but when your buying stuff that you can't usually get I don't mind paying a bit more for it. On the second point, I'm sure there were probably a few disappointing items there but I must have managed to avoid them. I'll hopefully be having a another boat noodle cookup soon so be ready for an invite.